The Intellectual Property Office of the Philippines (IPOPHL) will be mounting the 2019 edition of the Mandatory Continuing Legal Education (MCLE) on March 18 to 22 at the Radisson Blu Hotel in Cebu City in order to reach out to IP practitioners in the Visayas. “Scaling up our IP Education and Awareness drive is at the forefront of IPOPHL’s agenda. The MCLE Program’s first run outside of Luzon will be an essential learning opportunity for lawyers and non-lawyers alike. The curriculum for this lecture series is a diverse offering of updates on IP legislation, strategic innovation on IP core processes & appeals, commerce-related concepts of IP,” said Director General Josephine Santiago. Intellectual property processes, particularly in application and appeals, as well as the special rules and procedures on IP cases will also be discussed. Intellectual property is a game-changer of scientific innovation and creativity, and has been entrenched as a component of economic growth in the Philippine Development Plan particularly in chapters on advancing science, technology, and innovation & expanding economic opportunities for industry and services. The area of intellectual property is a new and exciting field in legal practice that remains to be fully tapped by a new generation of lawyers. With every sector, from manufacturing to banking, now being infused with technology, expertise in the field of intellectual property will complement law firms’ existing competencies in high-demand practice areas such as information technology and cyber law . Intellectual property has increasingly been a salient feature of modern free trade agreements, both bilateral and multilateral ones, putting it in a prime intersection with trade law. The lecture series will tackle topics such as the impact of new legislation ( the Competition Law and the Data Privacy Act) on intellectual property, as well as enforcing one’s IP rights. property assets by way of licensing and franchise will also be discussed. The 5-day program presents a rare opportunity for these sectors to learn the centrality of IP in these different fields of knowledge. internationally-recognized intellectual property lawyers and professors. 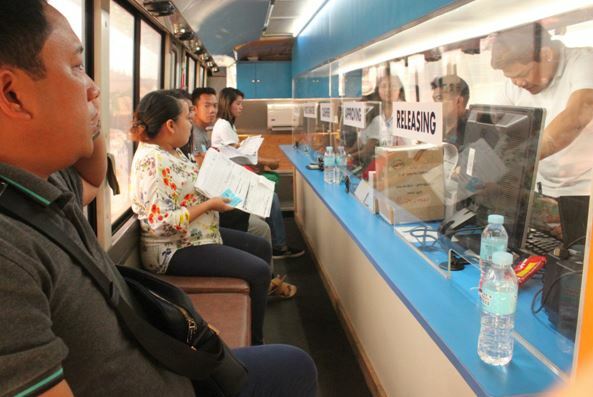 To recall, IPOPHL held the 2018 MCLE program in Bonifacio Global City. The 2018 MCLE Program drew in nearly a hundred participants from across government, academe, and the private sector. Stressing that “working closely with stakeholders will be a key success factor in fighting crimes, PSSupt. Julius Cesar Gornez made his first official appearance and report to the Provincial Peace and Order Council last Thursday, February 28 with succinct words. 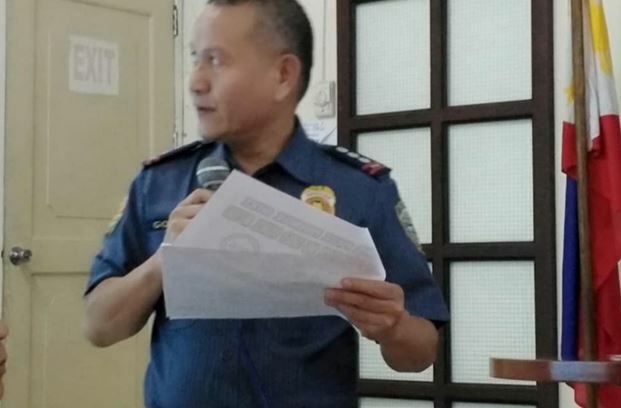 “The achievement of the utmost desire to have peace and order will always be a shared responsibility between the security forces of the Government and the civil society,” the new police provincial director who came back to Bohol amidst political intrigue, underlined the key to successful crime prevention. Colonel Gornez, who had his decorated years as chief of the Tagbilaran City police years back, came to the call of duty following the shuffle which many public officials in Bohol alleged as a political manipulation. When PSSuptGornez replaced PSSupt Angeles Geñorga, insinuations of political machinations surfaced, but outgoing police director explained that shuffles in the police organization are regular activities especially with elections looming in the horizon. In his first appearance at the Bohol PPOC, Supt Gornez showed a very promising anti-crime operations with a visible downtrend in crime volume in the last three years. Citing crime volumes all over the province in the first month of 2017, 2018 and 2019, the soft-spoken new top cop showed 36% crime volume reduction average for the three Januaries. Records released by the Philippine National Police national database of Crime Information Reporting and Analysis System (CIRAS) which Camp Dagohoy, Bohol police headquarters cited, showed that in January of 2017, Bohol crime volume reached 567. The month showed 195 index and 372 non index crimes. By January of 2018, police tallied a 2.16% crime reduction rate when the 2018 opener showed only 555 crime cases. The total crime volume is comprised of 171 and 384 index and non index crimes. This year, crime volume recorded only showed 517 cases, or a further reduction of 6.85%, cited Gornez. Last month’s data as shared by Bohol police Camp Francisco Dagohoy showed that index crimes reached 124 cases while non index crimes reached 393. The rise in non index crime however is a good indication of a better police force who are getting pro-active against crimes especially against special laws and traffic related incidents. 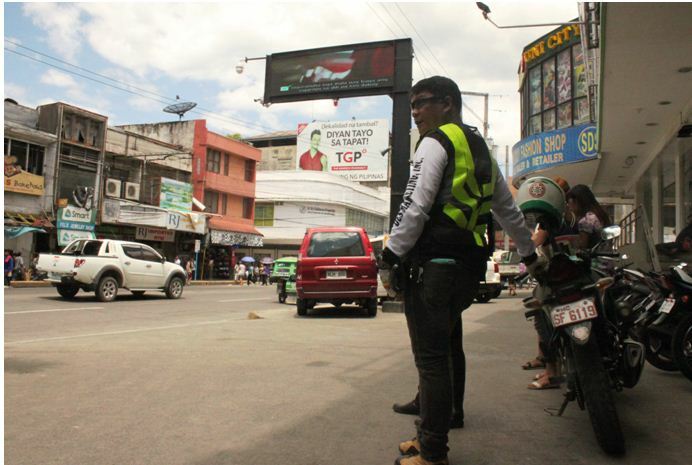 As to the data showed, Bohol police is still fumbling against theft, physical injuries and robbery, which had 52,28 and 23 cases in January this year. And as to non index crimes, Bohol police still struggles in bringing down traffic related incidents, which continue to haunt and mar local the crime statistics. Last January, traffic related incidents reached 205. While it is already a good 35 cases lower than in 2019, it is still 45 cases more than the successful 160 cases recorded in 2017, Camp Dagohoy statistical records show. January 2019 also showed a huge spike in the crimes recorded due to the implementation of special laws: possibly anti-illegal drugs leading it. Form 98 and 75 in 2017 and 2018, non-index crimes on special laws zoomed to 129 cases as police prepared for the May 2019elections. The evacuation was quick, orderly and things worked like clockwork, but there is never really one good drill that could be rated perfect until disaster arrives and there is zero casualty. Thus hints Department of National Defense (DND) Major Aristotle Antonio who, along with other DND officials and the Office of the Civil Defense in Central Visayas validated the conduct of Holy Name University’s (HNU) part in the National Simultaneous Earthquake Drill (NSED) for the first quarter of 2019, set last February 21 at 2:00 PM. But while the regular conduct of simulation exercises and disaster drills may not be enough, allowing people to have an idea what to do and where to go during such disasters is already a big step towards attaining zero casualty, says Office of the Civil Defense (OCD) Assistant Regional Director Engr. VerneilBalaba. Both Balaba and the DND observed the conduct of the HNU earthquake (EQ Drill) drill made complex by mass casualty incident where a simulated fire has caused “mock injuries,” to trigger school emergency response teams. The NSED was also done in several parts of the country, to allow communities to go through the standard processes in disaster response to instill in everyone the automatic response needed so everyone can be oriented and can thus do what they have to, to be safe and to avoid confusion which can result to injuries. 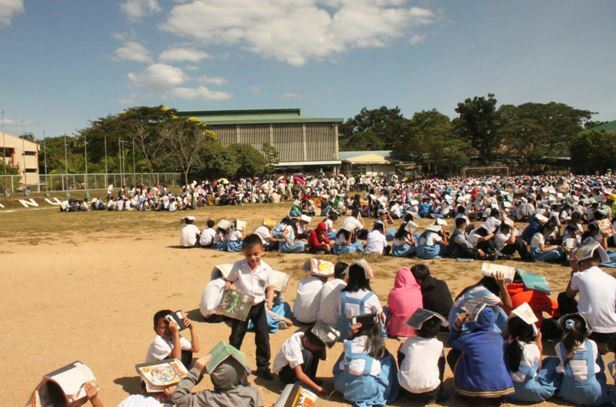 The Philippines sits along the Pacific Ring of Fire is in constant threat of earthquakes and earthquake generated tsunamis, that the drills can be very effective in guiding people on what to do in the event of an earthquake, and where to pass through to the evacuation areas and not cause any traffic that can also disrupt the flow of evacuees. While the NSED in this quarter was centered in Ilo-ilo, local authorities in consultation with the OCD picked HNU, one of the schools in Tagbilaran with huge population which may become an evacuation concern. The Provincial Disaster and Risk Reduction Management Council (PDRRMC) and the City DRRMC also picked HNU and set up support response teams while also sending evaluation teams to assess on the conduct of the drill. That same day, another city based NSED was also done in Manga District and the disaster team put up an earthquake based tsunami response in the coastal district that faces Maribojoc Bay. However, the conduct of NSED have yet to go to local government units. Despite the calls from the DND and the OCD for more and more communities getting into the disaster preparedness test, several local government units appear to have not heard. In fact, despite the clear guidelines for buildings as stipulated in the national building code which assures that buildings can survive earthquakes stronger than the Bohol 7.2 magnitude, LGUs building officials care less. The NBC has pushed for the 6 inches cinder blocks and hollow blocks and 10 mm deformed steel bars as the standard measurements to be used in building constructions. Several building officials however do not inspect the constructions in their areas of responsibility to see if the construction specifications are followed for safer buildings especially those designed for habitation.